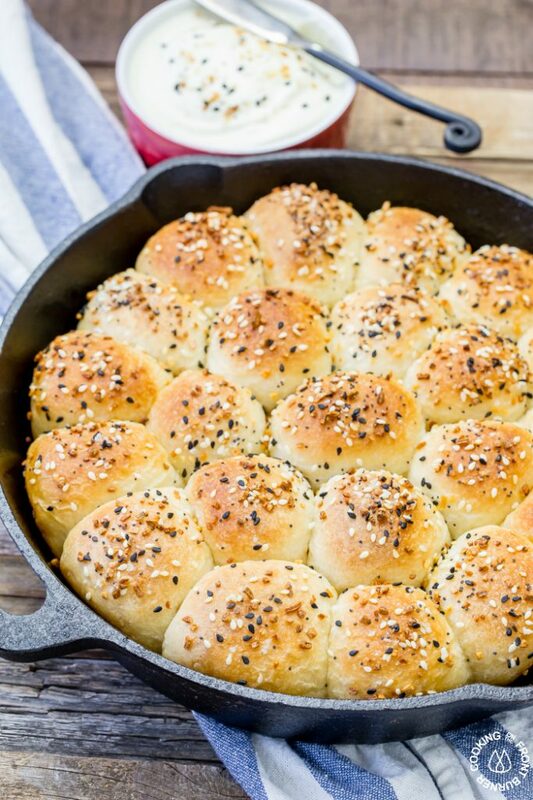 Make these easy everything seasoning pull apart rolls with a creamy cream cheese dipping sauce. 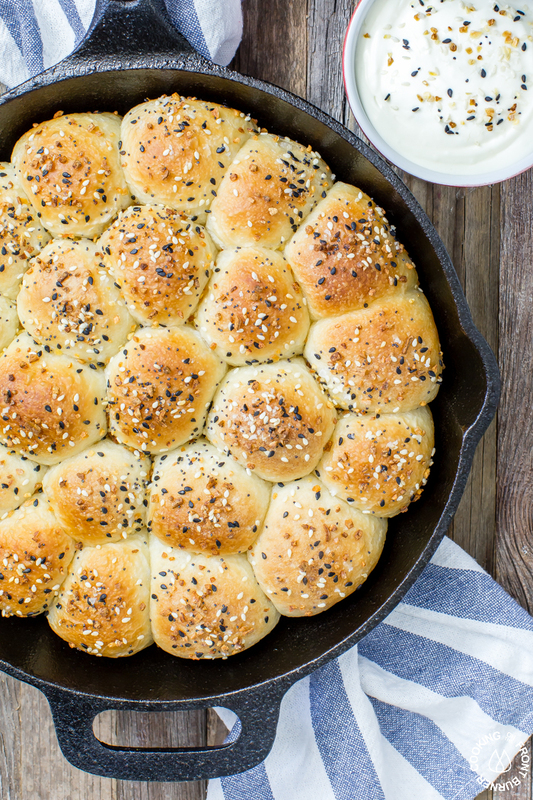 It’s like your favorite bagel but much easier to make at home! 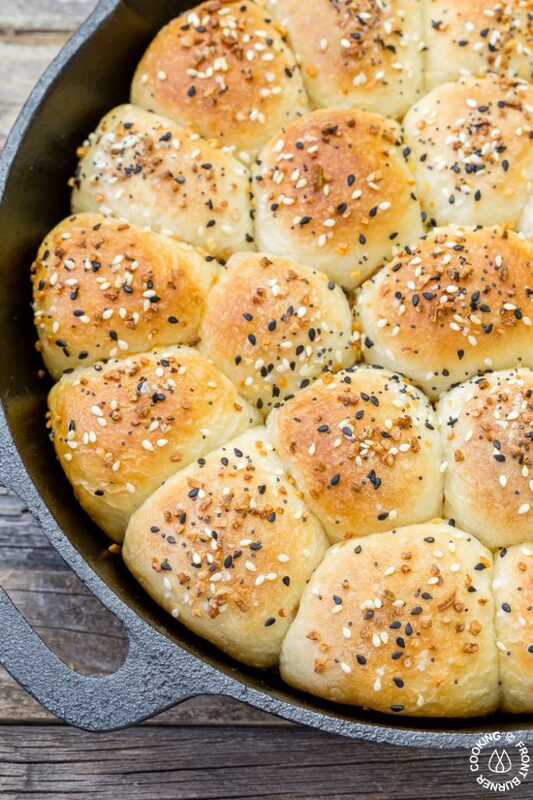 Seeing that our screens don’t have a scratch-n-sniff feature, you’ll need to take my word that these pull apart rolls are exactly like those bagels at your favorite bagel shop. 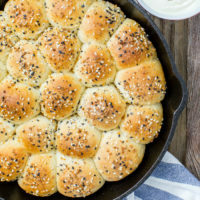 The seasoning is perfect and when baked on the rolls, you have little warm pillows of bite-size heavenly treats. 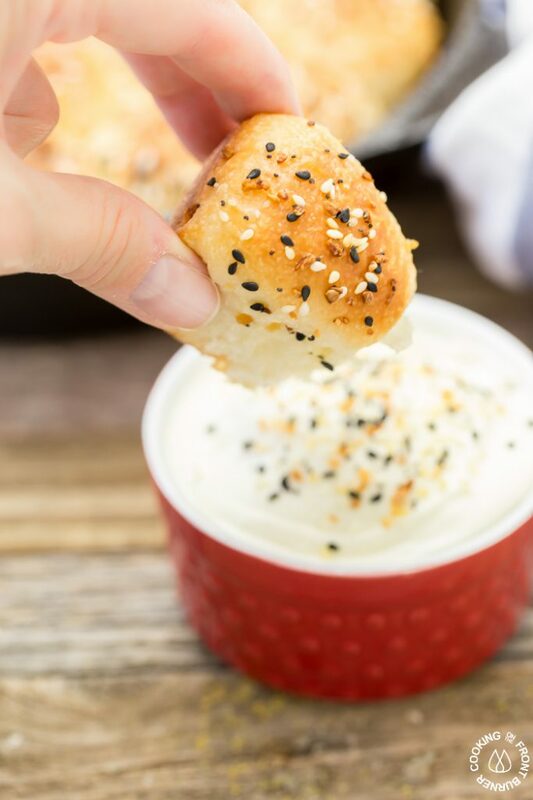 These are perfect for snack time, meal time, game time or any time. 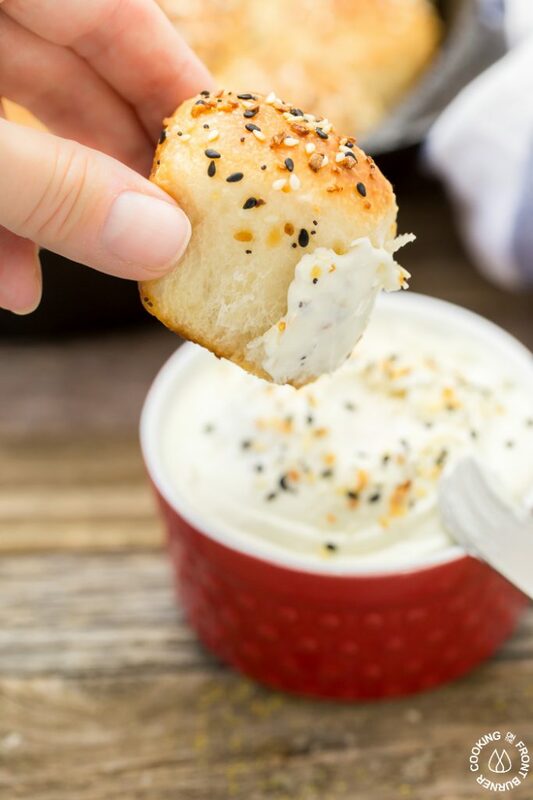 While these are great by themselves, be sure to make the creamy cream cheese dipping sauce – oh so good! I was very excited to find this seasoning (not an affiliate link) at my local Trader Joe’s store. I actually did a double take when I first saw it.. I think they have been in the store a few months, but I just discovered this jar and one of the best parts is, it only costs $1.99! Talk about the Price is Right! You couldn’t even make your own seasoning for this price. 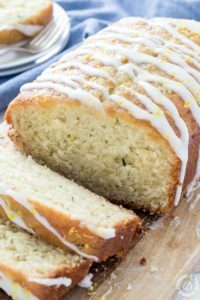 Plus doesn’t everything taste better with some garlicky seasoning? I think so. 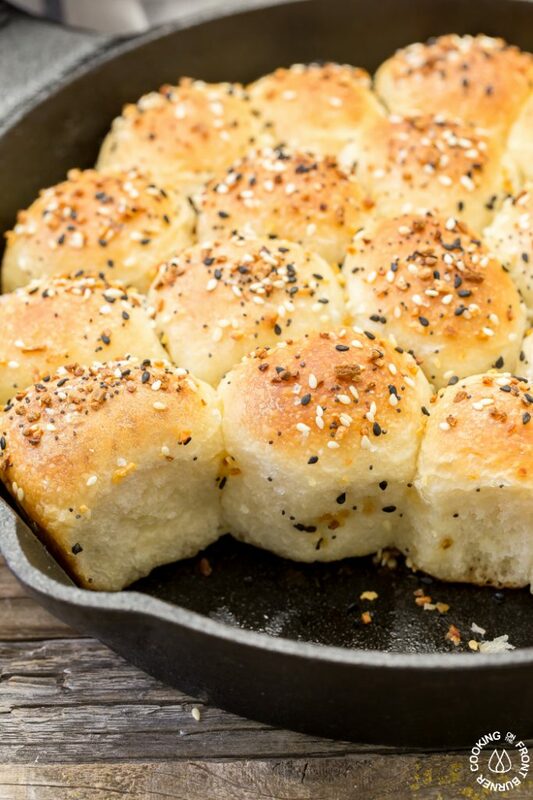 I really like using my cast iron skillet (10″ size), in the past I have made pizza, lemon rolls and other savory bread rolls. 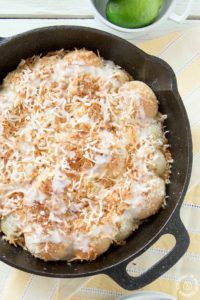 It cooks and bakes evenly and in my opinion can crisp up food better than a regular pan. When it comes time for cleaning, it’s always best to not use soapy water. I usually use a stiff brush and hot water to clean them after use. Then dry well and brush on a bit of oil. 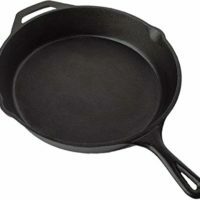 Nice and clean and ready for the next recipe. 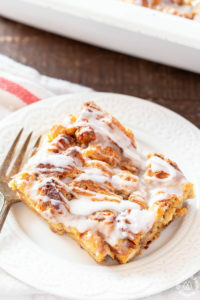 Note: you do not need to make your own dough (you could of course). 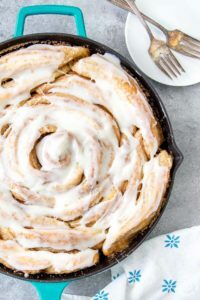 I find using frozen rolls in my grocery section work great and so easy. The longest part is waiting for the rising time so be sure to start earlier in the day so you can enjoy these in about 5 1/2 hours. 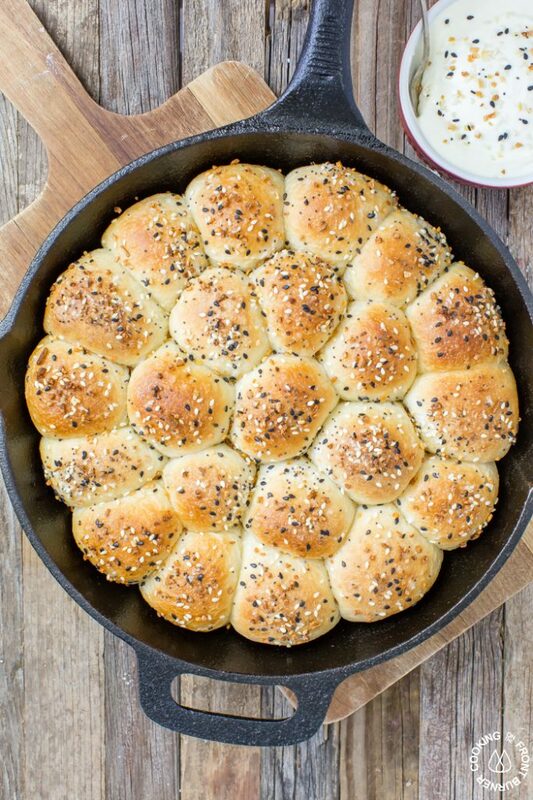 Make these easy everything seasoning pull apart rolls with a creamy cream cheese dipping sauce. 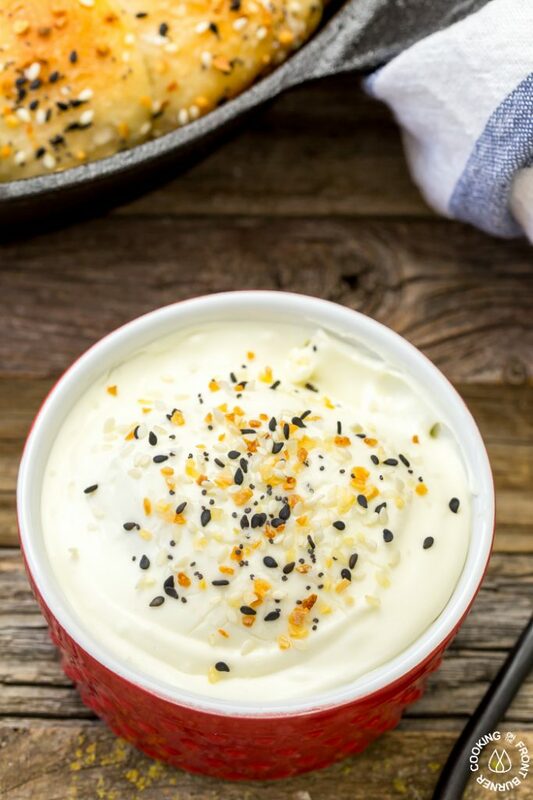 It's like your favorite bagel but much easier to make at home! Ooo, now they look good. I have a bread maker so I’m thinking I could make dough in there and then follow from that point couldn’t I? Jamie, I have to warn you they are pretty addictive 🙂 Enjoy!